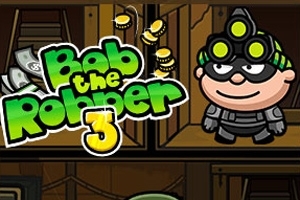 In Bob the Robber 3, you are challenged to complete daring criminal missions. You must learn how to sneak past smart guards, pick locks, and break open safes. Walk out undetected to keep all of the loot!